After several days of sitting with DD as she has not been feeling well, I decided to make a cake this afternoon. Needed a change of pace! 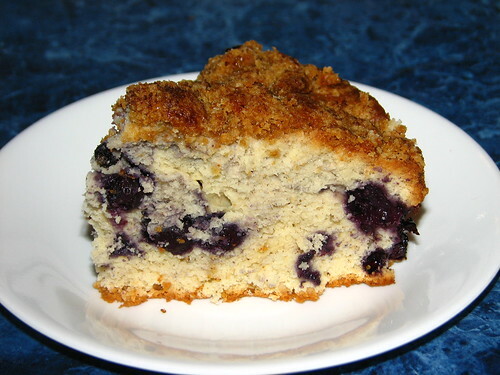 I tried Blueberry Crumb Cake from Dorie Greenspans’s book Baking: from My Home to Yours. The recipe was easy to follow. 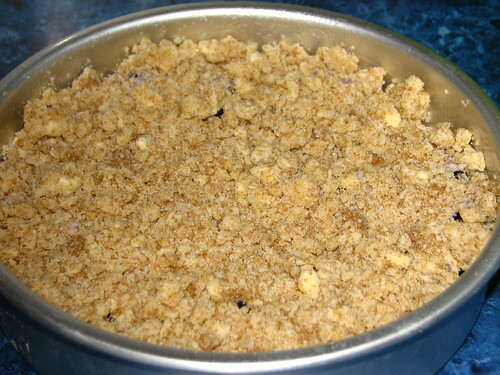 The crumb topping, when cooked, was more of a crust than a crumbly topping, but the crisp sweetness was very good on the cake. 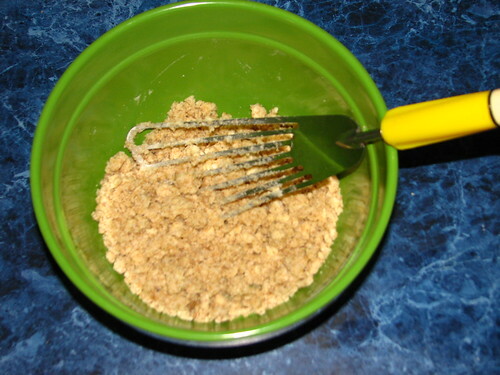 The recipe called for combining the crumb mixture in a food processor. Seemed like overkill to me. Just extra stuff to wash. Besides…I don’t have a food processor. ::sigh:: But this doomaflatchie, one of my favorite kitchen tools, cuts butter into sugar/flour very well. Also mixes and stirs well. I baked the cake in a round 8″ cake pan. Very tasty, though not as moist as I had expected it to be. I made a few changes due to necessity. I omitted the walnuts from the topping. I didn’t have buttermilk, so used light half and half with two teaspoons of lemon juice added to thicken it. Milk and vinegar can also be used in this substitute for buttermilk. The usual proportion is one tablespon vinegar to one cup of milk. 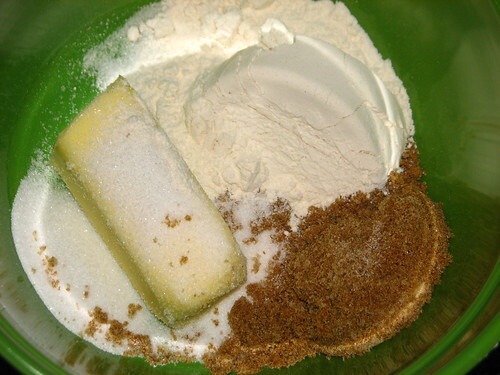 Do let the mixture stand for five to ten minutes before using to allow it to thicken. Also, I didn’t have a fresh lemon, so omitted the lemon zest. It would have been a nice addition. DD and DH both liked the cake. The leftovers will make a nice warmed-in-the-microwave breakfast. PS, the cake was even better the second day. More moist than yesterday and delicious, even cold. Had a piece with a cup of coffee. Yum! 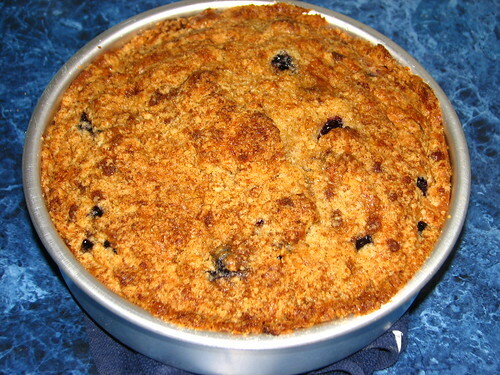 This entry was written by ~~Rhonda, posted on March 24, 2009 at 10:12 pm, filed under cooking and tagged blueberry crumb cake, cooking. Bookmark the permalink. Follow any comments here with the RSS feed for this post. Post a comment or leave a trackback: Trackback URL.